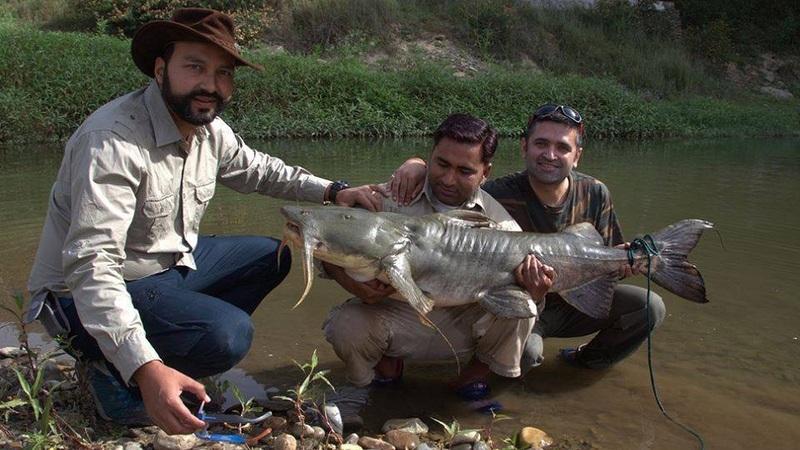 Goonch Catfish, also known as the Giant Catfish, is a species of monster-size catfish found in some mountainous regions in India, Nepal, and other adjacent locations. 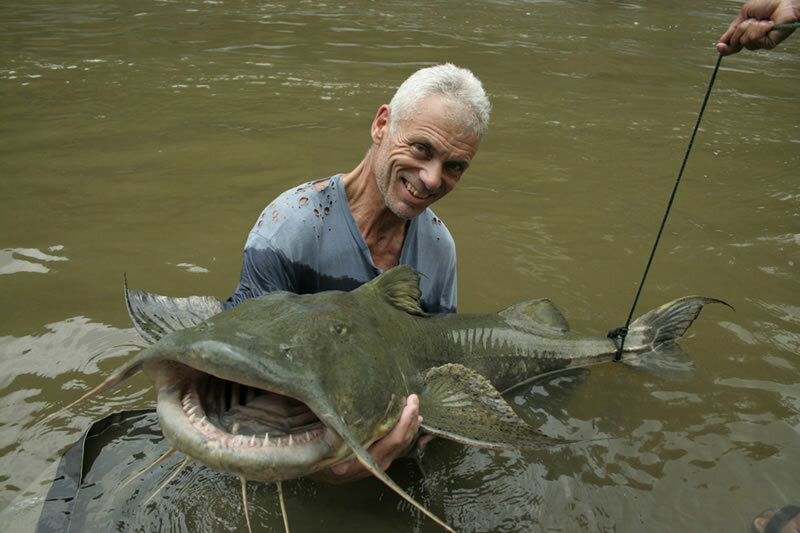 Known in many other names like ‘giant devil catfish’, ‘giant painted catfish’, ‘killer catfish’, and ‘sand shark’, this large, toothy fish has been nicknamed as the ‘river monster’ for its enormous size and aggressive tendencies. The exact population of the fish in the wild is not known. Size: The adult specimens can reach up to 2 m (6.6 ft) in length. Weight: They can weigh over 200 pounds. Teeth: The large and wide mouth is lined with multiple rows of very sharp teeth. Sexual Dimorphism: No differences between the male and the female have been found. The longevity of these fish in the wild is yet unknown. Their natural range is India and Nepal, and probably in some other parts in South and Southeast Asia as well. They inhabit large mountainous rivers, including those with fast current. They are especially found in the Great Kali River. No subspecies of this fish has yet been described by the biologists. Very little is known about the behavior of this huge fish in the wild. They are not only voracious eaters, but also, very strong and agile swimmers despite their large size. 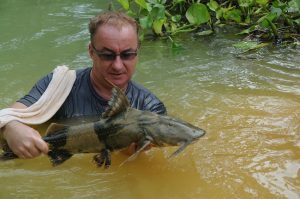 Many people who have tried catching them while out for a fishing trip have reported that they are expert at ‘locking’ themselves in their position in such a way that it is actually difficult to move them from the river-bed, once they are hooked. Sources claim that these fish have been seen combating large mugger crocodiles, or even attack and eat humans. 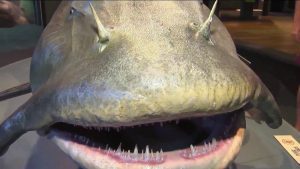 They are also kept in large fish tanks as pets, as well as in captivity around the world in large zoo aquariums. The natural diet of the goonch catfish includes smaller fishes, crustaceans, amphibians, and various species of invertebrates. 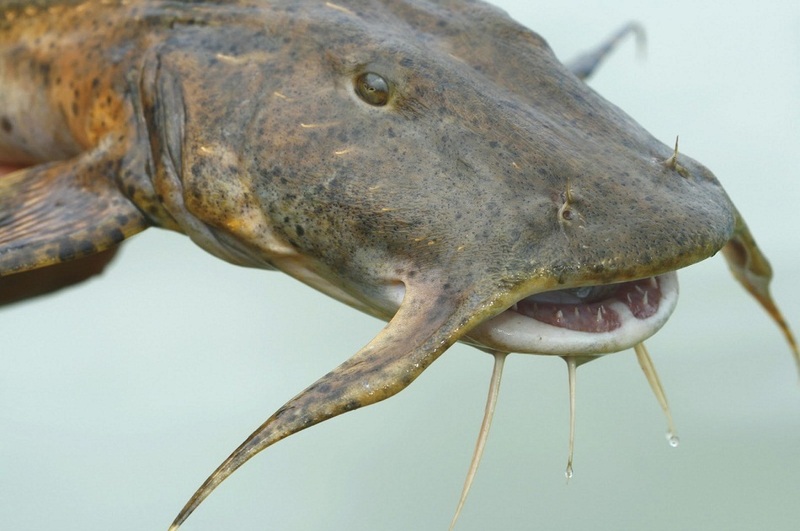 The mating or breeding processes of this catfish species are yet unknown. 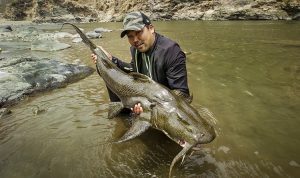 In order to lock their bodies on the river bed, these fish have the ability to wedge their body, head, and fins under or against immovable rocks. Once locked down, no amount of tugging with a fishing rod or line can move it, except for the baby goonch catfish. For defense, they can give a strong bite by their rows of razor sharp teeth enough to inflict deep wounds to the victims. The enormous goonch does not have any known natural enemy in its range. The baby goonches are sometimes attacked by larger predators. The IUCN 3.1 has enlisted them as ‘NT’ (Near Threatened). The first victim was a 17-year-old boy named Dil Bahadur, who was dragged underwater in front of his girlfriend in April 1998 at around 1 pm IST. The second was a young boy who was dragged under the river water in the same way in front of his father, around three months after the first incidence. The final victim was a young Nepalese man of 18 who was also pulled down in the river by something resembling an ‘elongated pig’. The goonch is often fished for food across much of its range. 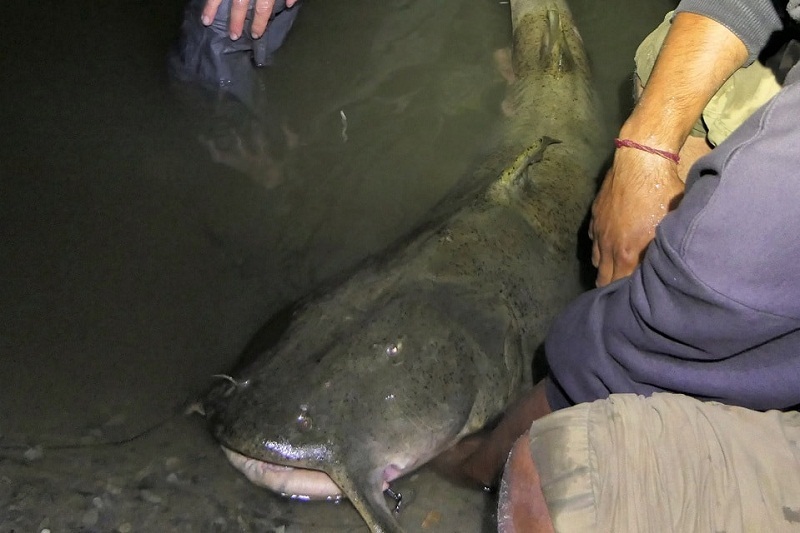 The biggest recorded goonch catfish ever caught was 6 feet in length and weighed around 73 kg. They are often found in the stretch of rivers where Hindu funeral pyres are disposed of in order to feed on half-burned parts of human corpses. 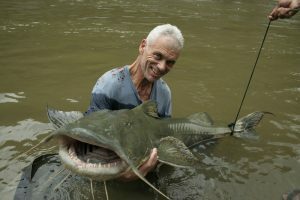 The infamous goonch attacks in India were elaborately covered by the British television presenter and biologist Jeremy Wade in the popular British and American wildlife documentary television programme ‘River Monsters’ on the Animal Planet, as well as in a TV documentary aired on 22 October, 2008. The fish gets its generic name Bagarius from the Bengali word ‘baghari’ or ‘baghair’, a local name in Kolkata (Calcutta).